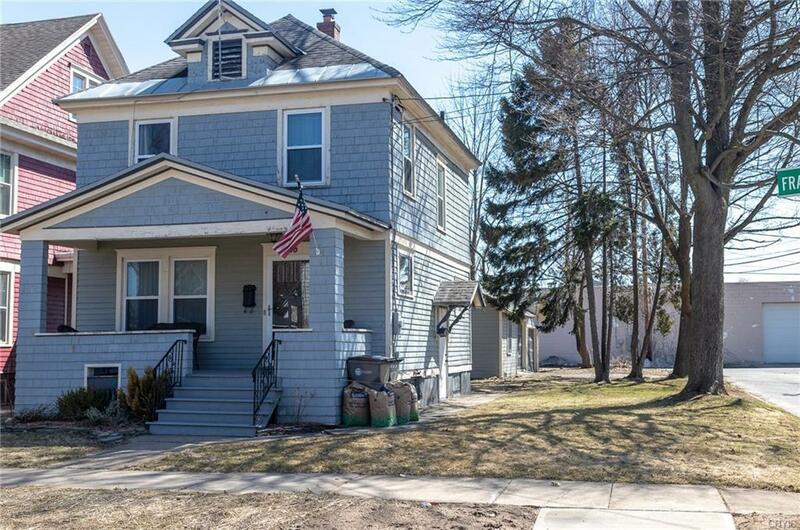 This beautifully updated 1925 bungalow sits on a large corner lot within a peaceful, neighborhood less than 5 mins from Griffiss, schools, hospital, medical facilities, shopping & dining. This pristine 1,162 sq. ft., 3 bedroom, 1-1/2 bath home has been lovingly updated over the years to include modern conveniences, energy efficiency, and design while carefully retaining much of its historic charm and character. The updates to this home have been substantial over the years including: air conditioning, new roof, wiring, walls, floors, cabinets, and insulation. Several upgrades, have transformed the home into a strikingly crisp, pristine environment w/ neutral paint, porcelain tile floors, granite counters in the kitchen & a cheerful laundry room with half bath on the main level.